Imperial Engineering, has expanded its range of Dana OEM drivetrain products for bus and coach applications. 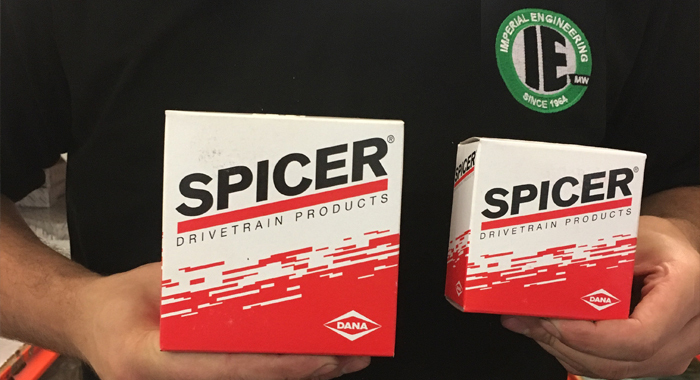 The leading PSV parts distributor now offers the full range of Dana drivetrain products which include front axle beams, rear axle casings, drive heads (differentials), hubs, stub axles and knuckles, as well as half shafts, steering levers, hub bearings, king pin kits and tie rods. As well as offering complete drive heads, Imperial Engineering can also supply the individual OEM components that make them up for remanufacturing. As a result, Imperial Engineering can now offer its UK-wide customers brand new OEM components relating to both front and drive axles for ADL, Wrightbus, Optare, Van Hool and VDL vehicles. Furthermore, as a first-tier distributor, Imperial Engineering is pleased to offer Dana products that are not only competitively priced in relation to their aftermarket equivalents, but also carry full technical support from the manufacturer.